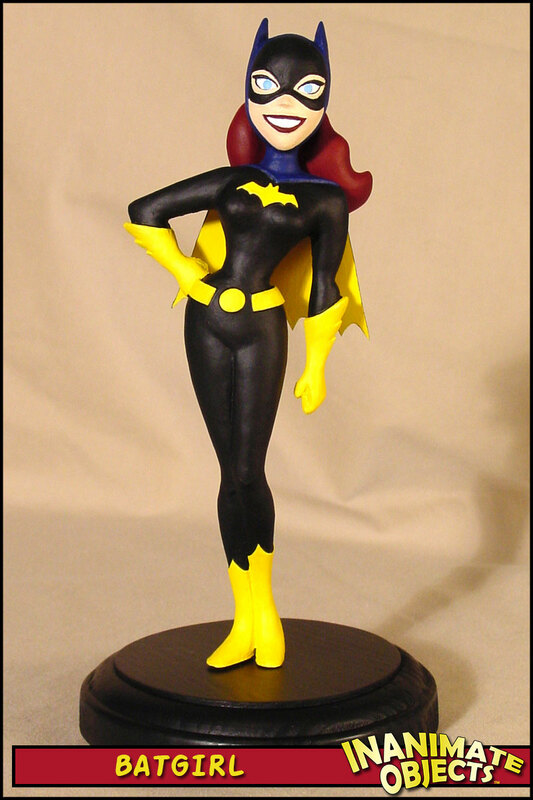 This Batgirl garage kit was sculpted and produced by Jason Peltz. 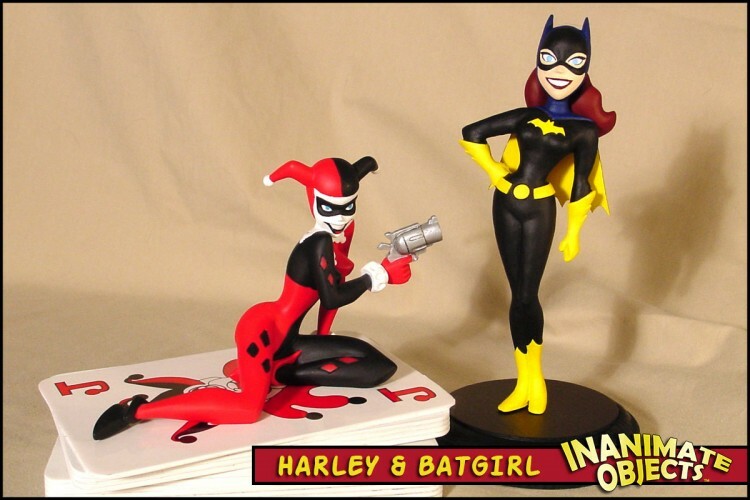 The basic sculpt is very good, and matched the animation model sheets very well. The casting of the sculpt leaves something to be desired, as the overall texture is not smooth and had numerous air bubble marks. The neck was more or less non-existent and had to be recreated from scratch. I did my best to clean up the one you see here, but up close she still looks like she suffered bad acne as a teenager. The parts consist of the head, hair and body. 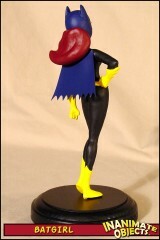 The cape is cut from vinyl. She stands about 61/2 inches tall, which is pretty much out of scale with everything else available. Once painted though, she makes a striking presence on her own.